Niharika Enterprises is the leading Balcony Safety Net Dealers in Hyderabad. 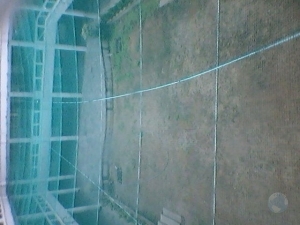 Balcony Safety Nets are the need of the day. All the High rise buildings now a days require the Balcony Safety Nets. These Balcony safety nets are helpful in minimizing the accidents and also helps in avoiding the birds. Niharika Enterprises the leading Balcony Safety Net Dealers in Hyderabad is supplying a variety of Balcony Safety Nets in the hyderabad market. Niharika Enterprises the Balcony Safety Net Dealers in Hyderabad can supply the quality balcony nets for all your requirements. We can provide the Balcony Safety Nets with suitable fixtures. The Balcony Safety Nets are available in various colours. You can choose from the range of colours that will suit your property. Balcony Safety Net Dealers in Hyderabad are taking enough care while proscribing the nets for you. We take the ventilation and other necessities while suggesting you the proper Balcony Safety Nets.